Poor, unloved Gipiemme. 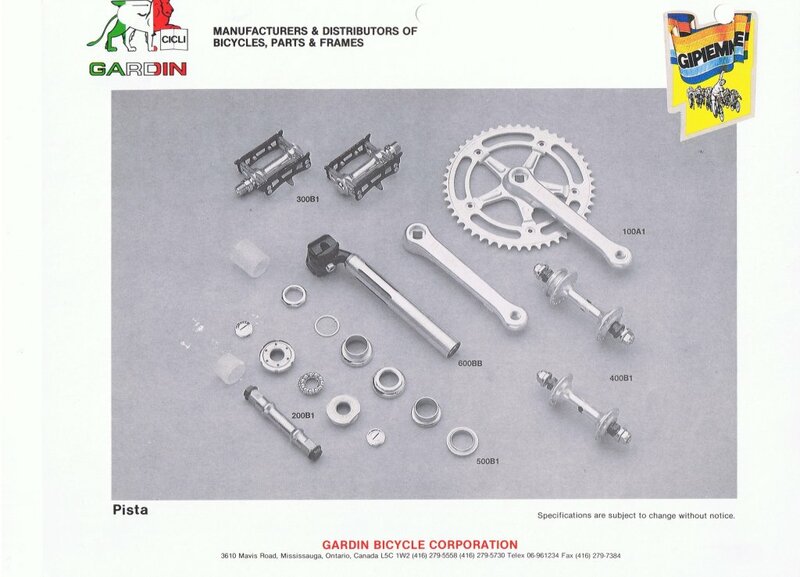 One of a handful of unloved Italian component makers (along with Ofmega, Galli, Regina, and probably a few others), who just didn't have the appeal of Campagnolo. Was their stuff bad? 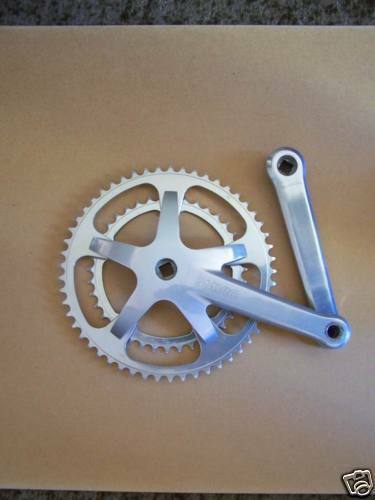 Nah - some of it was sourced from other vendors, like Simplex, that made some parts that people love. In their zeal to set themselves apart, however, GPM managed to churn out some seriously ugly groups in the mid-to-late 80's. Chronosprint Aero. Probably their high-end group, perhaps alongside WHITE LASER (queue laser sounds). 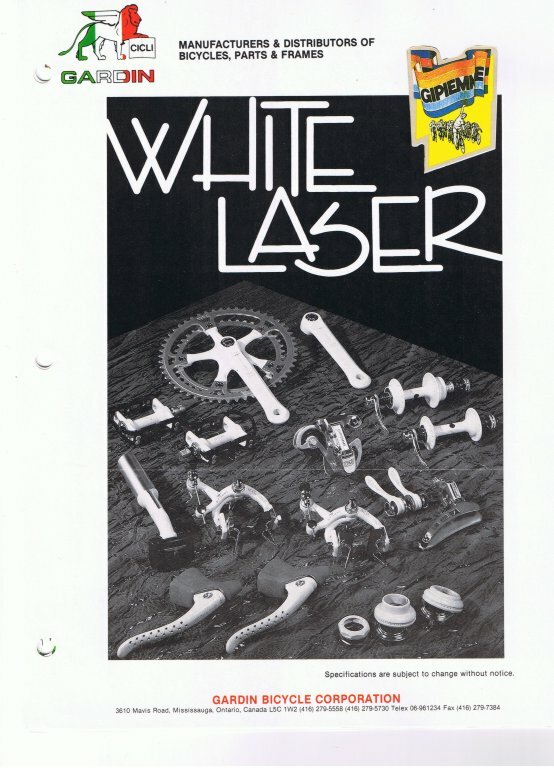 White Laser. I can only assume its named that because you want to burn out your retinas after seeing it, and a laser would make a fine tool with which to do that. 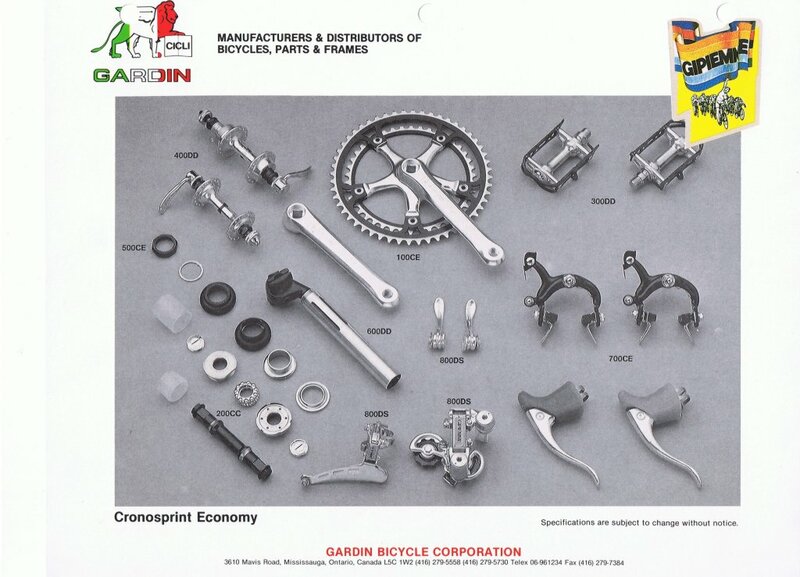 Obviously an answer to Shimano's Sante group. Any GPM fans out there? The last couple of years have seen some vendors slowly introducing shock-absorbing materials in to road bikes available to the public. It seems like quite often, these bikes are first seen in public during Paris-Roubaix. A big deal was made of Hincapie's 2005 soft tail Trek, even though that bike design never was made available to the public. Far more successful are some of the dampening technologies, like Specialized's Zertz inserts, which are available in all sorts of bikes in their lineup. 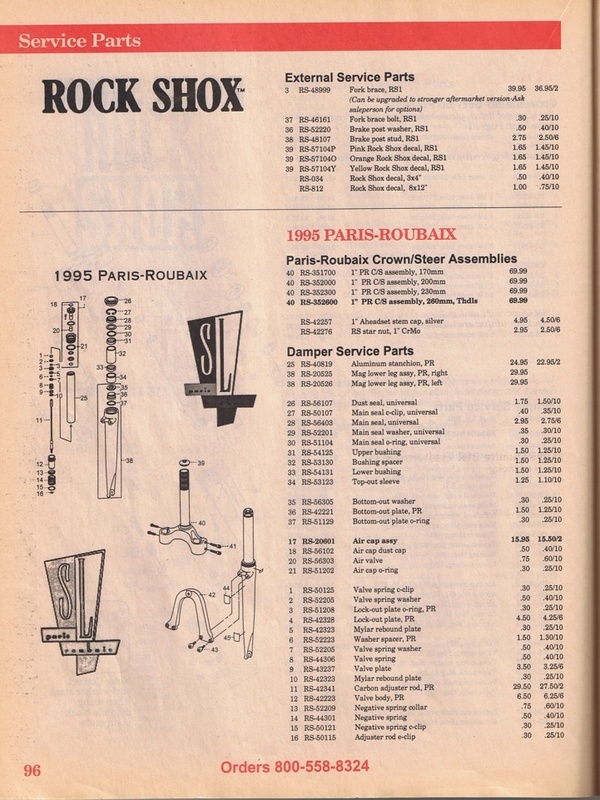 Every article that mentions these bikes, without fail, mentions the widespread adoption of Rock Shox forks by riders in Paris-Roubaix in the early 90's, and how Museeuw used a full suspension Bianchi in 1994. There were actually a few others that were tried as well. 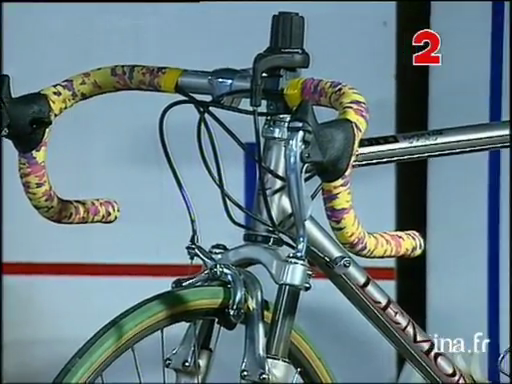 An interview for France 2, with Gilbert Duclos-Lassalle and Greg Lemond gave us some interesting glimpses at a full suspension rig they both used for at least part of PR in 1994. According to the information in the bottome part of the article here, these bikes were built by Clark-Kent, in Denver CO out of Titanium. The recollections in the article are, unfortunately, a little flawed - Duclos-Lassalle finished first in 1992 and 1993, and came in 7th in 1994. 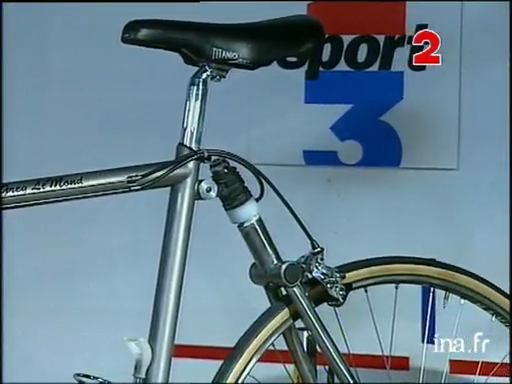 Duclos-Lassalle was off this bike, and on to a Excell tubed Lemond within the first 1/3 of the race that day. Why, we don't know. 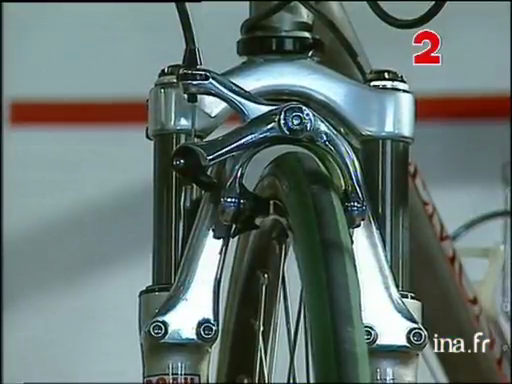 I think its fair to assume something as simple as a flat that early in the race wouldn't necessitate a bike change - and given that watching 1994 footage closely suggests he changed bikes again in the latter half of the race, to another Excell tubed frame, makes it unlikely whatever went wrong was easily fixed. Check out that crazy rear suspension system - reminds me of the Moots YBB soft tail. 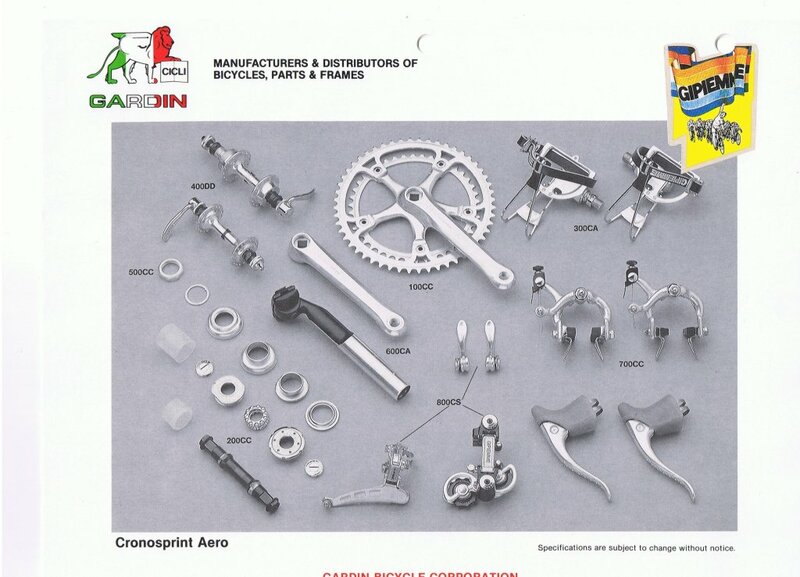 This scanned clipping over at the Mombat site gives a closeup of a Lemond that looks very similar to the one shown in the interview - it doesn't appear to be the same frame, but its probably fairly similar. Air/Oil shock? Or maybe the white thing in the picture above is some sort of elastomer? Requisite Rock Shox Paris-Roubaix. 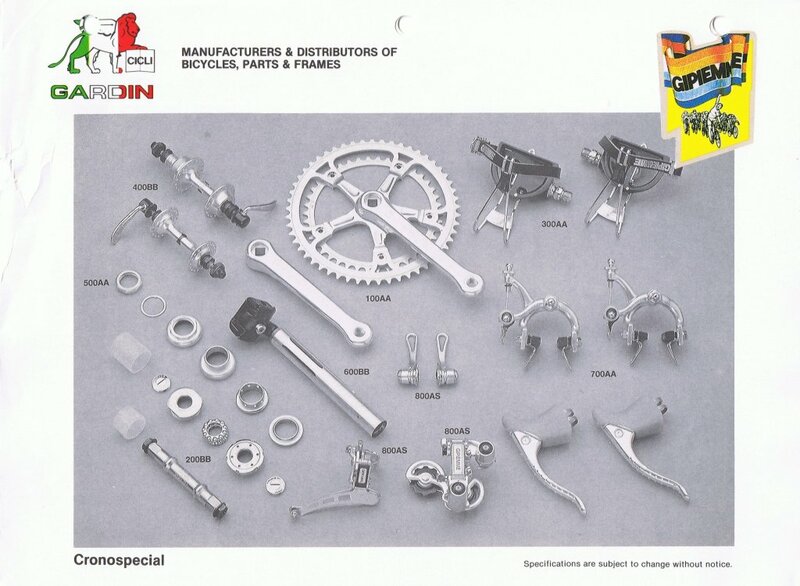 Mavic 451 brake. Potential technical issues aside, looks like a very cool ride, and I'd certainly like to know where any of these ended up after the race.